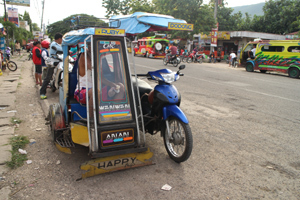 Tucked away in the south of Cebu island is a fishing village called Tan Awan 15km south of Oslob. 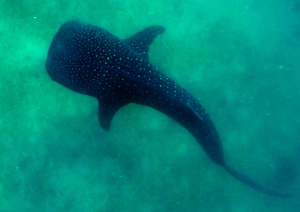 It has become famous in the Philippines, and now internationally, for the unique experience of spending some time snorkelling with Whalesharks. This is not a wild free ocean lucky if you spot the Whaleshark experience, although they are completely wild and they are swiiming in the open ocean, the catch is that they are fed daily by the fishermen who once used to kill them. Excited? then you probably want to know some useful information. Its very easy, first remember that you are only allowed out important fact is that trips only run between 6 am and noon, after that its too warm for the whalesharks and they retreat to deeper water. 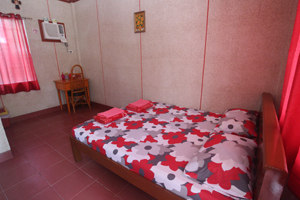 The whaleshark centre is in the village of Tan Awan close to Oslob, on arrival you will see a larger covered area with desks and chairs and on the walls charts/photos. Its not super organised but people will point out where to go to pay. 1/ The first desk has a book where you need to fill in a register with name and country of birth. 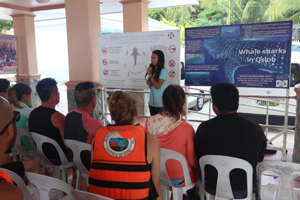 2/ The talk - a 'marine conservationist' (or intern) will then explain about swimming with the whalesharks, remember NO TOUCHING, keep distance, do not ride on the whaleshark, please be considerate of others and do not apply suntan lotion. 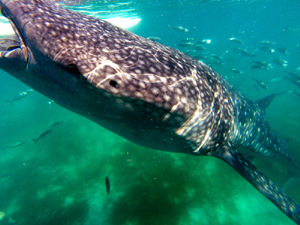 You have 30 minutes out with the Whalesharks. After the talk you have to pay, for more details on the amounts see below. Then you must make sure you collect your life vest, snorkel and mask, even if you have opted to stay in the boat, take the mask, this enables you to look into the water and see clearly. Then you will be guided into a boat NOTE do not take anything you dont want to get wet ... everything you take into the boat will get wet! 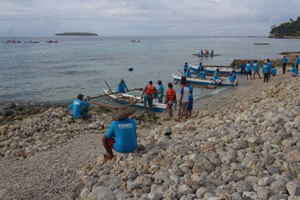 The boat ride is a mere 100 metres from the beach and youre boat will join the row of boats out there, while a local fisherman leads the whalesharks passed you as he feeds them. So now you grab the mask and slip (not jump) into the water and peer down as the whalesharks swim by following the boat that is feeding them. 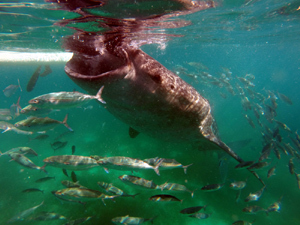 The whalesharks will be busy following the food and will not be bothered by you at all so relax and enjoy the view. The 30 minutes will go by very quickly and you will get upclose to these gentle giants, so make the most of it, please respect them by not touching the whalesharks - even when they swim straight at you they will not crash into you, despite their size (4 to 12 metres) they glide by effortlessly. Now this may seem a bit steep and I like many disagree with dual pricing when the price is obviously inflated... apparantly the money goes towards marine preservation and the locals. 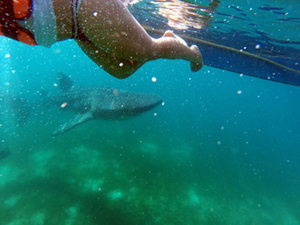 How to get to Oslob and Tan Awan to see the Whalesharks? 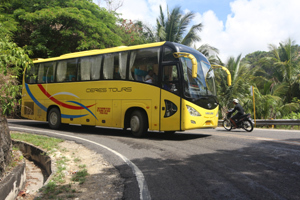 3/ Use a local private hire company in Cebu - this is good for groups as you can get a minibus for Php 2000 each way sitting up to 15 people. Oslob is the closest main village to the whalesharks but it is still 15km away from Tan Awan where you need to be. 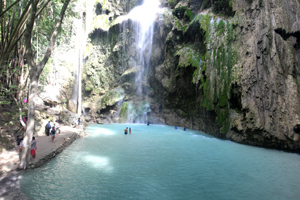 There are plenty trikes and bikes in Oslob that make the run between the two places cost should be around Php 500 return including drop off at Tumalog falls turn (see Tumalog falls below). Where is there to stay in this area? There are three options on which area to stay at if you are going to overnight then get up early in the morning to go swim with the big fishes. 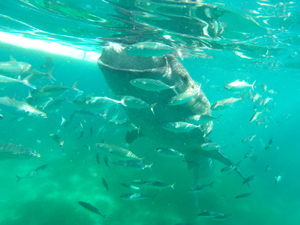 The fishing village where the whaleshark interaction takes place. For information on the accommodation options have a look at this webpage. Located halfway between Oslob and Tan Awan is the lovely Tumalog Falls, take the time after swimming with the whalesharks to swim in the cool refreshing waters underneath the cascading waters.